Steve Soyka has gone from learning about the Stearns County Sheriff’s Office as a teenage Explorer three decades ago to his election as sheriff on Nov. 6. Soyka, 49, defeated Waite Park Police Chief Dave Bentrud to become the county’s first new, elected sheriff in 16 years. He’ll assume his new duties on Jan. 7. In the next seven weeks, his to-do list includes numerous meetings to assure a smooth transition, but more importantly, thinking about how he’ll put in place the goals he set during the campaign. Soyka says his No. 1 priority will be to emphasize community policing with patrol deputies and jail officers. His second priority will be to actively recruit and train officers, especially for the jail. Last Sunday, Soyka took a break from picking up about 600 campaigns signs posted around the county for a hearty breakfast of two eggs, bacon and toast at Kay’s Kitchen in St. Joseph. While he ate his breakfast and answered questions about his plans, residents stopped by the table to say hi and to congratulate him on his victory. In the coming weeks, he’ll be shadowing current Sheriff Don Gudmundson, meeting with judges, the county board and the county attorney. When he gathers the deputies, he said he wants to “explain community oriented policing, the mindset and philosophy.” He wants the officers to regularly connect with citizens whether it be by stopping in a café or business, attending a city council meeting or walking through a school. Soyka said some of those actions take place now but he wants to stress how important it is for the entire department, even the sheriff, to make connections. “My intention is to come out and work and be connected,” he said. Second on the list is recruitment and retention of officers, especially jail staff. Staff shortages mean mandatory overtime and pulling deputies off the road to transport prisoners. In addition to increased costs, those conditions affect morale and officer safety. “We have to figure out why we are losing people,” he said, so he plans to contact former and current jail staff to hear their concerns. “I want to get a group together to sell the agency,” Soyka said. The outreach team would include a patrol deputy, dispatcher and jailer. He compared his plans to how colleges recruit top high school athletes. “We should reach out to criminal justice programs and job fairs instead of waiting for them to come to us,” he said. The sheriff manages an annual budget of more than $20 million – half of it to operate the jail. The sheriff supervises more than 200 employees including deputies, dispatchers, correctional officers and support staff. The dispatch center answers more than a quarter-million phone calls a year. The jail booked 7,785 prisoners in 2017. Soyka says he’s frequently asked who will be his chief deputy. He hasn’t decided, but he’s leaning toward selecting someone from inside the department. Soyka says he wants to rebrand and remarket the department with the community policing emphasis and recruiting. While lawsuits remain to be settled from the investigation, solving the Jacob Wetterling abduction puts the department’s highest profile crime behind them. Gudmundson released more than 40,000 pages of investigative documents on Sept. 20, and highlighted instances where the investigation of the 1989 crime went off track. The key players in that crime are dead, retired or have moved on, but the case is still associated with the department. During Gudmundson’s presentation, he mentioned two other Stearns County cold cases, the 1974 Reker murders and the 1981 Mrytle Cole murder. Soyka said the investigators have never stopped working on those crimes. He said he might “reach out to outside agencies for new eyes” or send investigators to cold case conferences where detectives share expertise and experience. 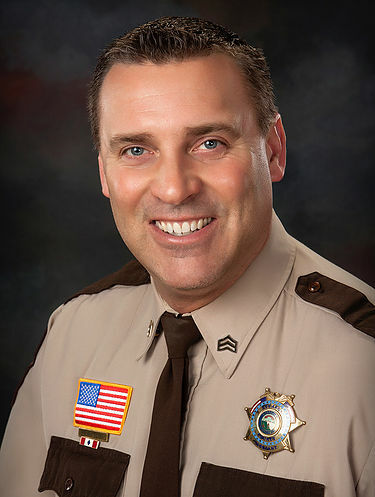 In addition to his major goals, Soyka said he’ll be looking at other issues as well such as expanding the school resource officer program with the help of funding grants, creating a child abduction response team that one of the department’s lieutenants suggested and raising the department’s social media and online presence. Social media, he said, is part of community policing and transparency. He wants to continue the department’s newsletter and thinks he might want to post online short videos explaining department operations. And rebranding even extends to new squad car graphics and paint jobs. Soyka will be formally sworn in at 9 a.m. Jan. 8 at the Stearns County board meeting.